The secret to pulling off a show-stopping arrangement is to keep the decorative elements simple. 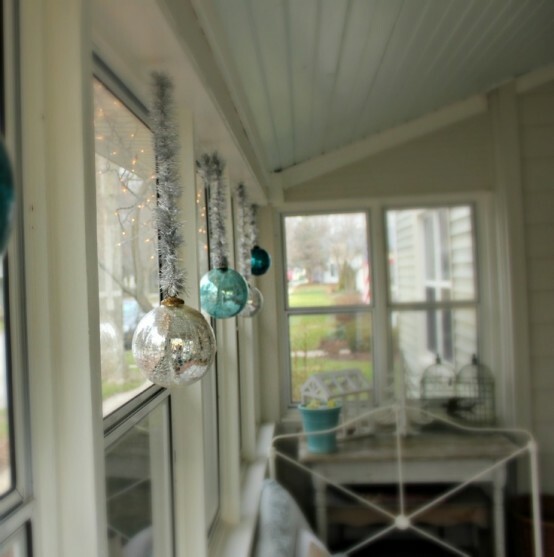 Here in this article we have collected some simple Christmas Window decorations that can be done within budget. 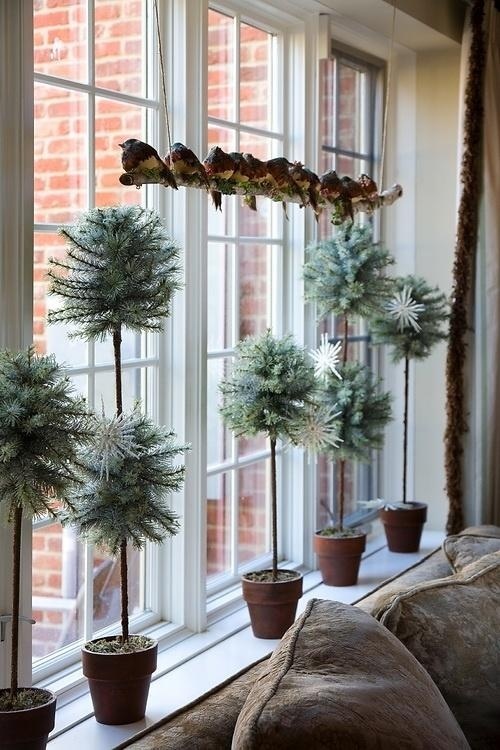 Nothing can be more decorative than inspiration from nature, a row of artificial sparrows on tree branch complemented with fir branches is perfect for a unique display. 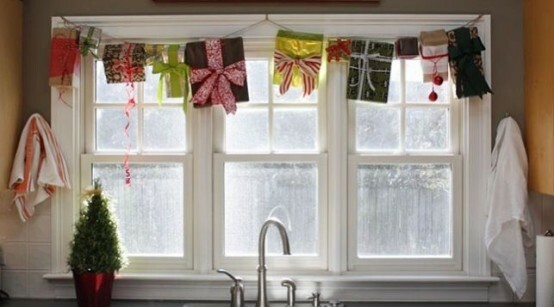 Adorn windows with a winter scene. 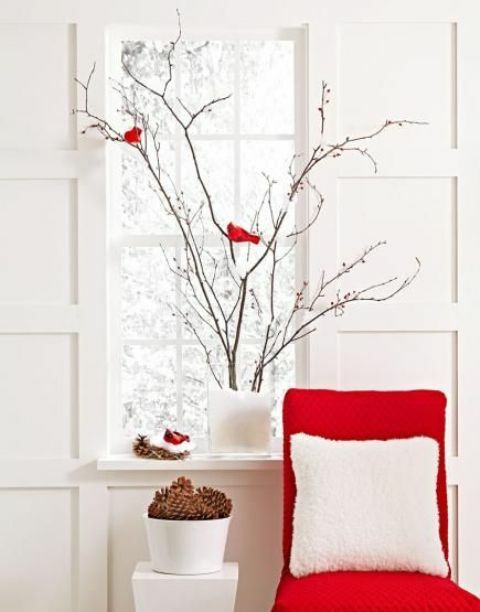 A pair of cardinals perched on a birch log and fresh greenery add Christmas color to bare window sashes. 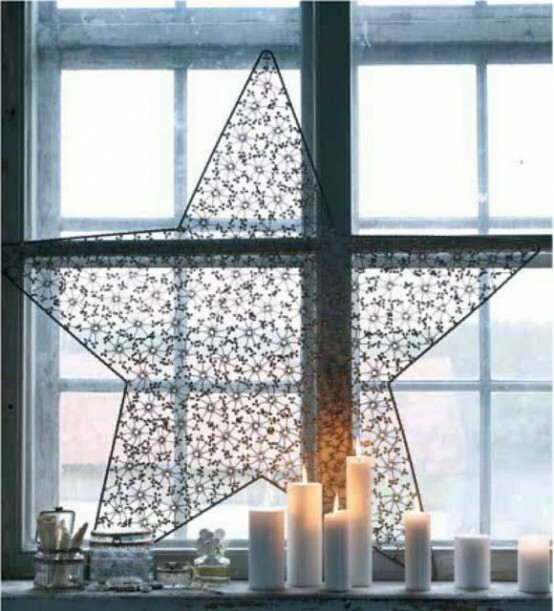 A simple and sophisticated winter–white window that will make your holiday decoration extra special. 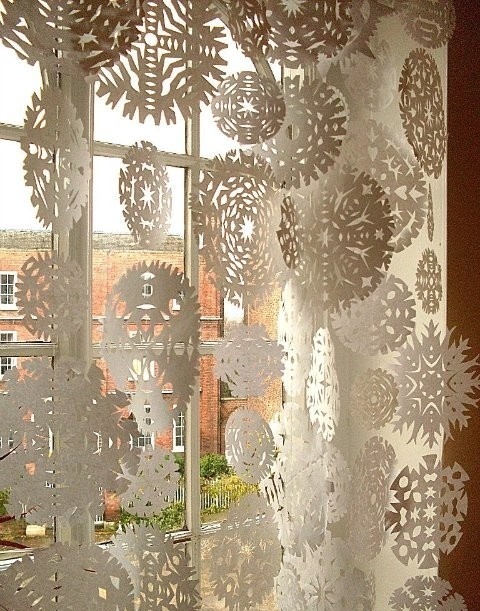 Create a whimsical effect with paper doilies hanging together, it will create a beautiful layer on the window. Don’t restrict ornaments only to Christmas tree, silver or colored ornaments would reflect the light in magical way. Delicate balls in chartreuse, lavender, and pink are hanged across the windows making an attention-worthy display. Rather than leaning on garland for texture, turn to feathers for an unexpected twist. 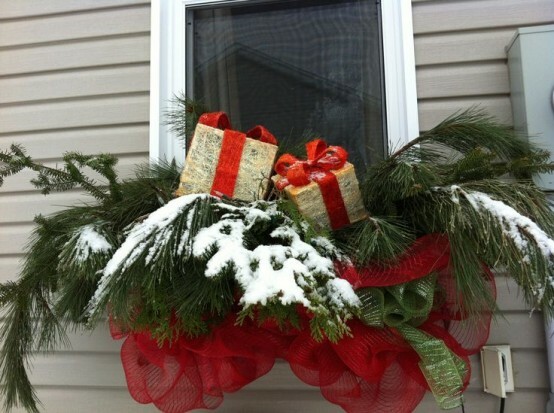 Wreaths are not restricted to front doors now, you can hang them on mantle or windows, red ribbons will add to overall Christmas celebration look. 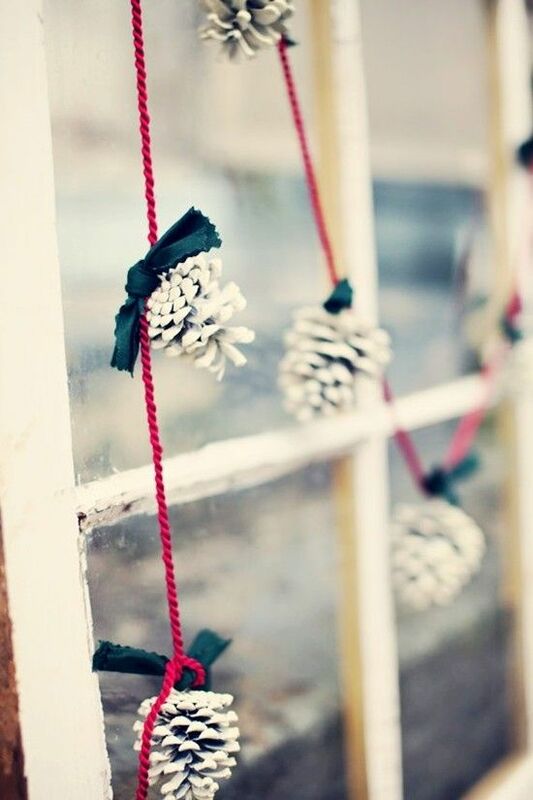 Pine Cones can be used in decorations for fall to winter transition; you can use them in natural form or paint them in white for more winter feel. 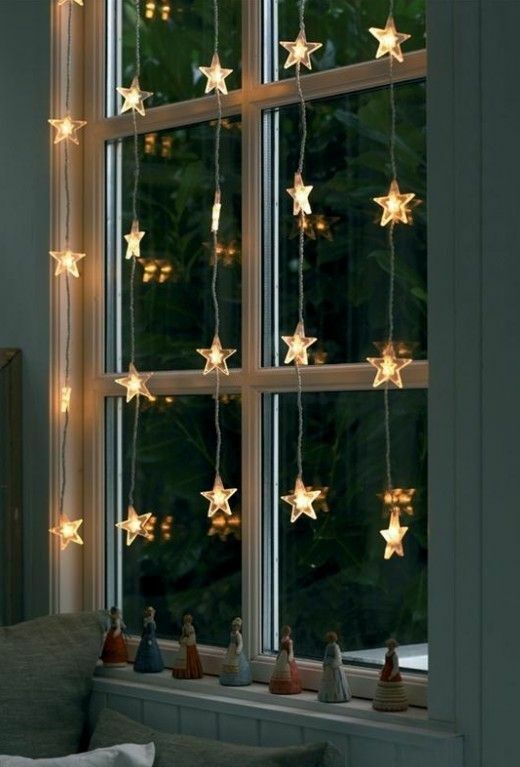 String lights hanging on the window will create a magical effect, be it a string of stars or a big star illuminated with colorful lights, it’s is an elegant addition to window decorations. Christmas gifts have a unique charm, create anticipation by putting a bunch of colorfully wrapped gift boxes in the window or on the windowsill. Add fir branches for a small Christmas tree effect. The best and easiest solution are winter inspired figures that you can attach directly to the window pane. Put fir branches in a transparent vase filled with cotton. Add a bunch of colorful artificial sparrows to complete the inspiring decoration piece. So, did you like these unique Christmas window decorations? Do tell us which one did you like the most and show us your creativity that you have done at your place. We would love see your decoration ideas. The range starts from $10 and may go up to $100, try http://www.etsy.com for huge range which fits almost in every budget. Merry Christmas!